With 1,264 miles of coastline stretching from Mexico to Oregon, the Golden State is no stranger to golden sand beaches. There are well over 1,000 of them scattered along the Pacific Coast, many known for their stellar surfing and even better sunsets. 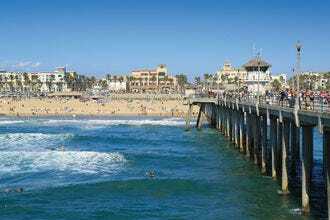 Surf City U.S.A. is known for awesome breaks near the famous Huntington Beach Pier as well as great swimming and boogie boarding away from those hanging ten. Flat sand for miles ensures plenty of space to sunbathe even in peak seasons. 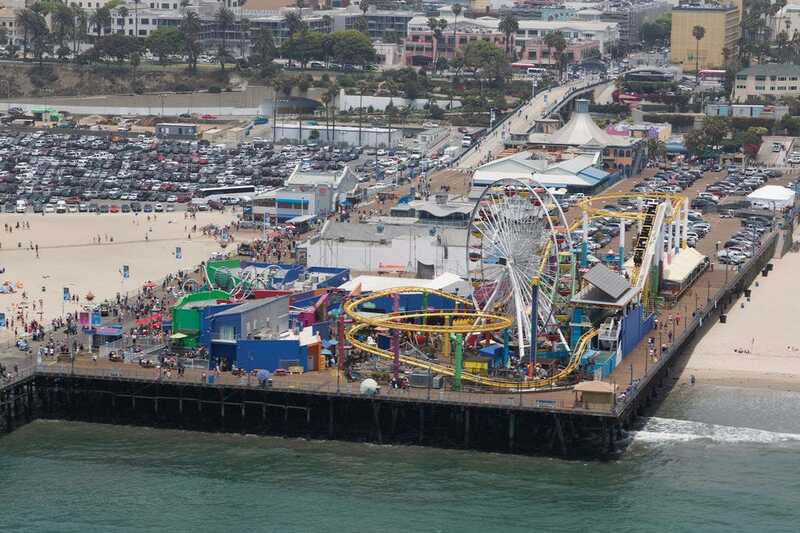 Amenities include fire rings, lifeguards, concessions selling almost anything you’d need for a beach day as well as a bike path, volleyball courts and restrooms. Swimmers, sunbathers and surfers come to Newport Beach for its soft sand and ample space to spread out and enjoy the SoCal sunshine. This public beach stretches for 5 miles; surfers catch waves off the jetty, while a bike trail stretching along the coast is perfect for walking, cycling or skating. 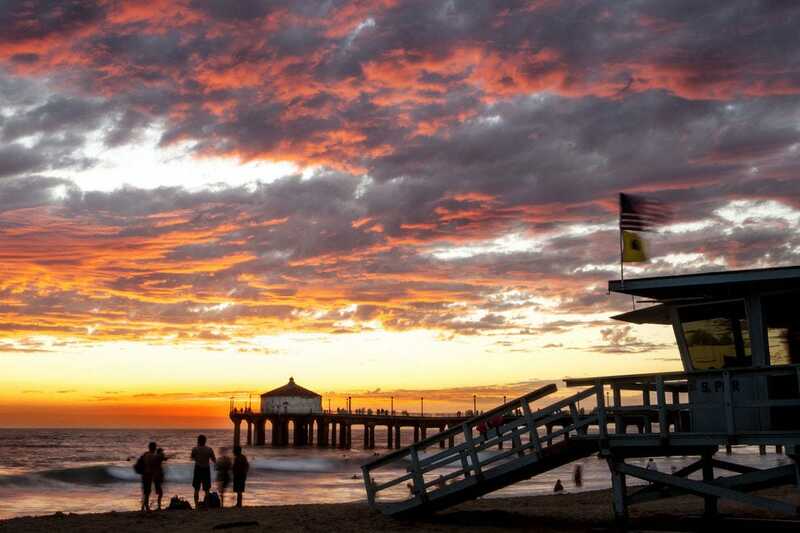 If a beach could be named as urban supermodel of beaches, Hermosa Beach would be in the running. 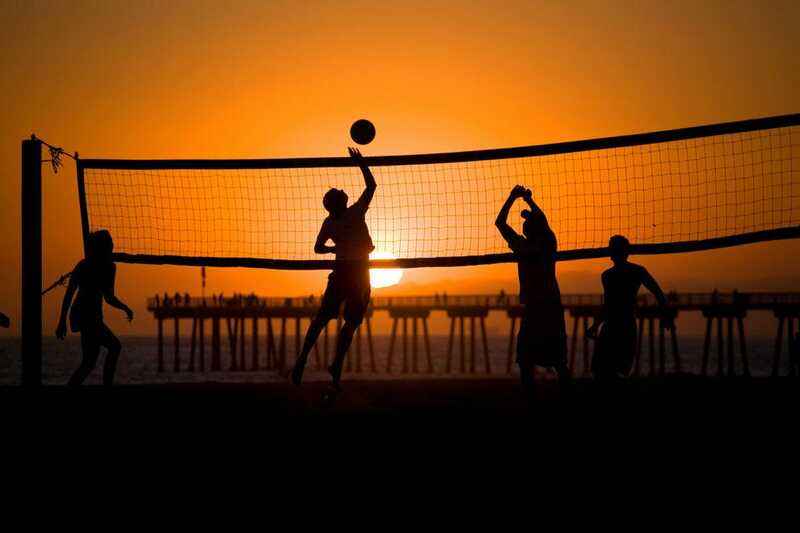 Notably clean sand, an abundance of volley ball courts, an absence of frivolous tourist junk – all these earn thumbs-up. Hermosa also has The Strand, a paved, multi-use trail running for miles, attracting bikers and hikers who are actually there to exercise. Inline skates and even jogging strollers can be rented nearby. 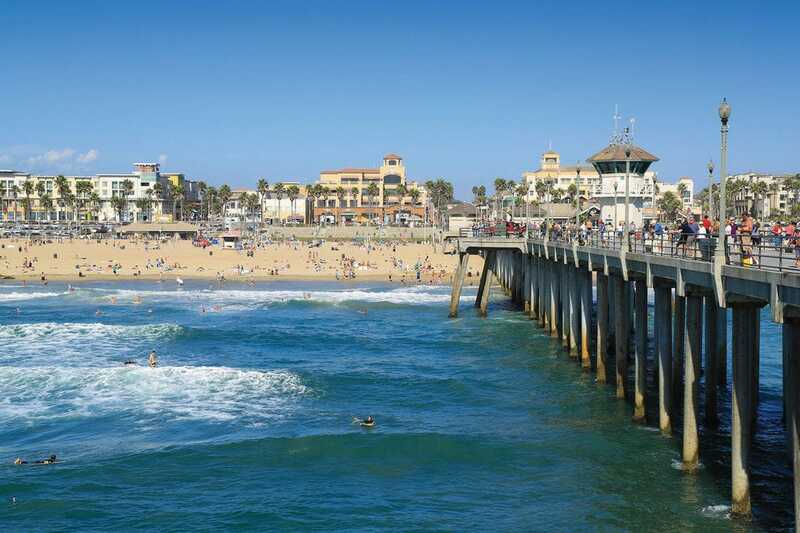 Manhattan Beach has been called one of the sexiest beaches in the U.S. The two-mile long pretty LA County beach alone could qualify. 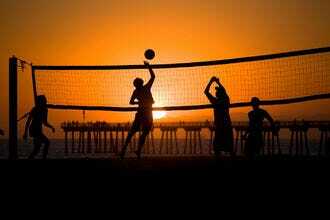 Add in well-toned bodies lazing on the sand and sleek glistening bodies leaping for a beach volleyball, and things look even better. Multimillion dollar beachfront homes offer even more eye candy. Facts are indisputable: Manhattan Beach is hot! Known for breathtaking sunsets and amazing powdery sand, Carmel Beach is one of California’s most laid back and picturesque beaches, with Monterey cypress trees, jagged coast line and epic views. Rip tides and freezing water temperatures make swimming here not the best idea. Think more along the lines of picnicking, romantic walks and even kite flying. Bustling Orange County still has bits of somewhat undeveloped beach area left. 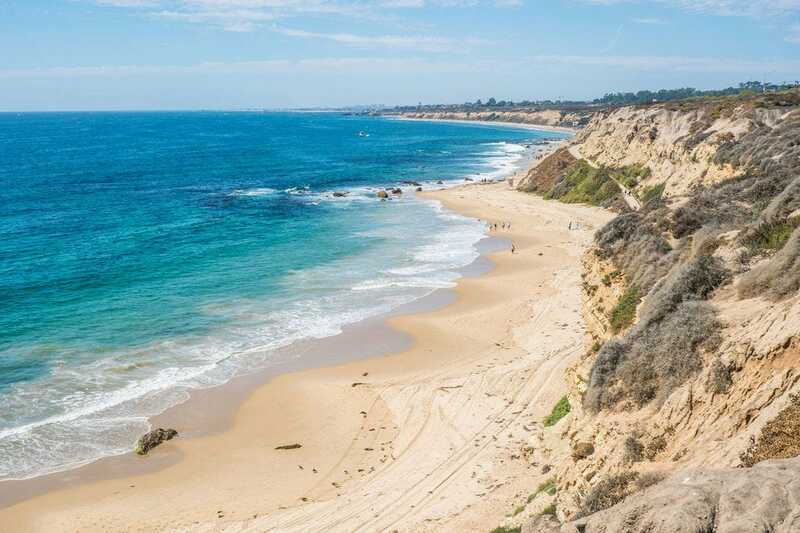 Crystal Cove State Park is known for tide pools heaving with marine life, great trails for hiking and walking as well as the fully-protected offshore underwater marine park for snorkeling and scuba diving. 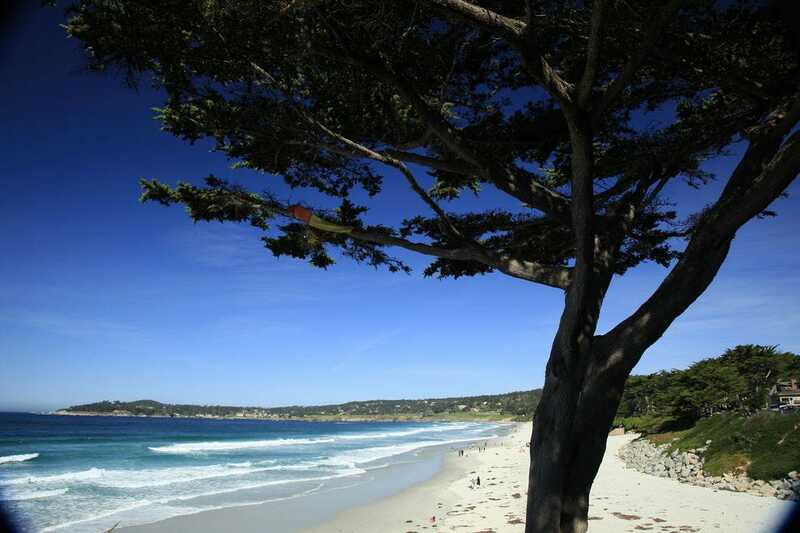 Places to sunbathe, body surf, surf and swim are sprinkled throughout the beach’s 3.5 miles of multiple coves. Named for a sandstone "bridge" carved by wave erosion, Natural Bridges State Beach offers pristine coastal scenery and some of the best beach wildlife spotting on the California coast. Beach goers might see shorebirds, migrating whales, seals or otters playing in the surf, and a series of tide pools create a natural aquarium at low tide. One of several beaches within the protected borders of Point Reyes National Seashore, McClures Beach is a small, attractive cove backed by tall, jagged cliffs. A short and steep hike leads to the quiet beach, which attracts surfer types for its intense waves. 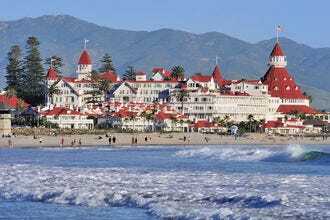 Located in front of the iconic Hotel Del Coronado, this pretty beach literally sparkles because of a mineral called mica found in the sand. An idyllic paradise, the beach is wide and flat with typically gentle waves perfect for families and stunning views. Tide pools reveal themselves at low tides as does a 1930s shipwreck. Keep an eye out for sand dollars and the Sandcastle Man who builds amazing sculptures on in the early mornings. It’s only three miles long but what this L.A.-adjacent paradise lacks in size it makes up for with stature. 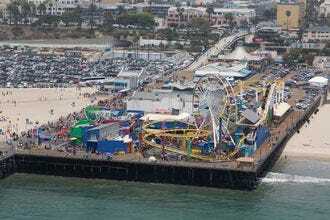 The Santa Monica Pier and its myriad amusements have provided a backdrop for so many film and television vehicles it may be California’s most iconic locations. 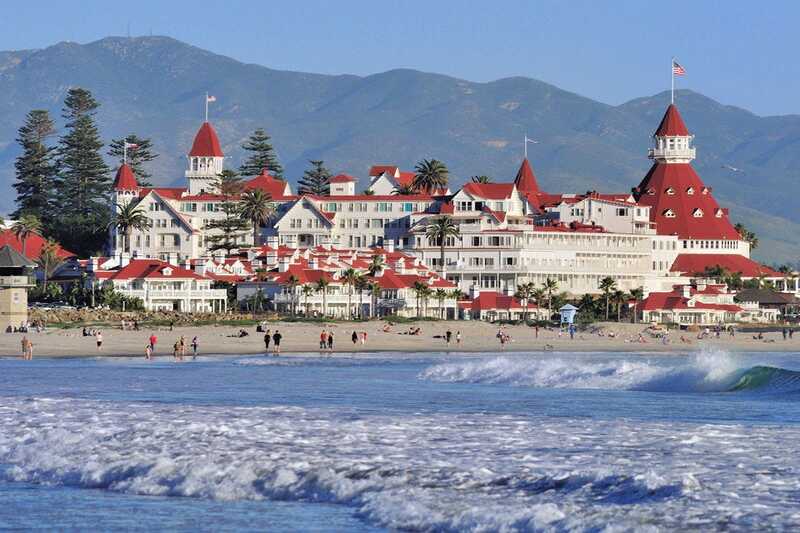 Beautiful rolling sands, sparkling waves and winding paths for cyclists and pedestrians beckon, world-class food and shopping abound.